Lowe’s Companies Inc the home improvement retailer based in the U.S. said it had agreed to purchase Rona Inc based in Canada in a deal worth C$3.2 billion or US$2.28 billion. Lowe’s previous bid was rebuffed by Rona, dealers as well as politicians in Quebec. The unsolicited proposal for C$1.8 billion by Lowe’s to acquire Rona was withdrawn back in September of 2010. Lowe’s said on Wednesday it had come to an agreement on key commitments that included moving the Canadian business headquarters of Lowe’s to Quebec where the Rona home base is located. Lowe’s said most of the employees at Rona’s would be retained; it would keep the brand name and ratchet up distribution to the independent dealers, of which many were opposed in the previous proposal. Just 40 of the 1,850 Lowe’s location across North America are in Canada. 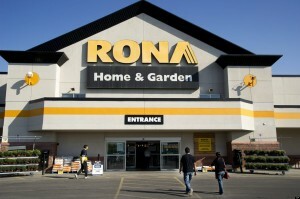 Rona has more than 700 stores located across all of Canada. The company’s combined pro-forma 2015 revenue was estimated to be C$5.6 billion, said Lowe’s officials. This deal positions both companies to continue growing in Canada’s industry of home improvement estimated to be C$45 billion in size, Lowe’s CEO Robert Niblock said through a prepared statement. Lowe’s agreed to pay a per share price in cash of C$24.00 for common shares of Rona’s which is more than double the closing price of the stock as of Tuesday. This deal will also include a per share amount of C$20.00 for preferred shares of Rona’s. The board of director from Rona’s will recommend that shareholders vote to approve the deal when a special meeting of shareholders is held, that is expected prior to the end of March. The combined Canadian operations of the company will have Sylvain Prud’homme at the helm. He currently is the president of Lowe’s Canada based in Toronto. Lowe’s said it identified over C$1 billion in opportunities to increase revenue and operating profitability. Shares of Rona’s have dropped by 24% over the last 12 months, while Lowe’s shares have increased 5%. Davis Rea LTD. Acquires New Holdings in Manulife Financial Co.